Ahh PGR 3 & 4..great memories! Love the PGR series and Bizarre Creations (RIP). TDU was a solid but flawed gem; TDU2 was a rushed disaster thanks to Atari. Loved crusing around despite the car handling being awful. GT3 pack should be dropping soon. S397 have released information on the BMW, Audi and Porsche with 2 more cars to be added. I’ll take a wait and see approach as I’ve heard all of the talk many times. SMS certainly don’t lack confidence! The 488 and Hungaroring recently shipped recently along with a hotfix. Still not happy with the ACC graphics outside of the cockpit; UE4 as a whole has been underwhelming outside of Hellblade and GoW. I’ve been playing it, will make a video at some point so won’t go into too much detail for now. But overall I’m very impressed with the visuals, the physics work well but like all elements they still need work. You still happy with the graphics Alan? I think ACC is a jaggie mess at 1080P. 4K is doable so long as you have a GTX 2080Ti or a 1080Ti. We have a long way to go with ACC but right now I’m not super impressed with the visuals. ums up F1 – way too much politics and the offtrack stuff is more exciting than the on track racing. That’s what adds to the excitement and drama, i’s more than just the track action. 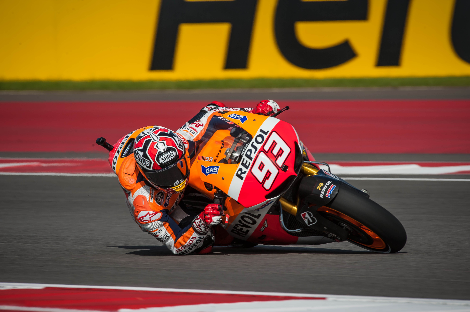 I prefer MotoGP as the on-track drama usually lives up to the hype with the offtrack crapola. Good news is that the reception of the public has been super positive, which yet again shows how out of touch and incompetent many movie and entertainments journalists are following their trashy reviews. A gree that some cars in pCARS 2 drive really well and others are awful no matter if they are fettled or you’ve downloaded the WR ghost set-ups. I have a love/hate relationship with all SMS releases. NFS: Shift was solid after several patches. The Unofficial Community mod (PC only), did wonders to make the game into GTR 2.5. NFS: Shift Unleashed was an improved version of the first game with even more official licences and was far less buggy. Again the Unofficial Community Mod fixed a lot of the issues SMS couldn’t fix and tyre ‘polish’ mod took Unleashed from quasi-realism to GTR 2.8.
pCARS is a mess albeit a very pretty mess. An interesting funding idea, viral marketing and some frankly outrageous claims by WMD members and the dev team meant pCARS was to be the sim of all sims. At release the game was a mixed bag; controls always felt off and the physics left me wondering if my wheel and pedals were broken. Many issues were left unresolved (with no unofficial fixes) as SMS moved on. pCARS 2 is everything pCARS should have been! The dev’s admitted they had missed controller code in the original game that caused some odd vehicle behaviour. That said, pCARS 2 has some sublime cars & others (e.g. most of the road cars) that are very odd feeling to drive. The tyres can feel awsome in one car and class and terrible across many others. There is no doubt SMS tried to move on from existing tyre models but I’m not sure if they were successful in doing so. No more DLC will be released and only serious bugs will be fixed which means the crazy track cut penalties won’t be fixed as well as the list of outstanding issues found on the official forums. It’s still a solid experience even with these niggles. Also the in-game weather when set to real no longer works as SMS’s openweather API key has expired! There is a fix by Mr Belowski (he of Crew Chief fame) on the Race Department forum but this shouldn’t be left to a user to fix. pCARS 2 can be sublime in the right conditions; you just got to work to find them! The DLC has been pretty good and was on sale recently. The entire sim is on sale right now. That said, SMS and accuracy aren’t best friends. The vintage Le Mans track looks sensational but I can pass cars on the grass at over 370 km/h without issue. The lap records are 20+ seconds faster than the real records! No sim is 100% accurate despite the claims however I find pCARS 2 to be the most relaxed of the current PC sims. Wheels remain a niche product and I wonder how Valve got their numbers. Sums up F1 – way too much politics and the offtrack stuff is more exciting than the on track racing. Looking forward to seeing this at some point. Yeah, the standard Xbox controller works well with this type of game.